Losing passport in a foreign country or in any situation is undoubtedly a formidable experience. It gives an invitation to various problems. Even I went through such a tragedy. Wish I had this Urby passport holder in past. One day traveling with an office colleague I kept my passport in her handbag because I was not carrying any bag. It was a long and tiring flight, so while leaving from airport to home, I forgot to ask her about my passport and she too forgot to give back to me. My colleague was having another flight to her hometown after few hours, so I said her goodbye and left for home. The very next day while unpacking the luggage I realized I don’t have my passport with me, at that particular moment all the consequences which I will have to face, started flashing in front of my eyes. I sat down and started thinking with a cool mind, and I recognize that I had left my passport in my colleague’s handbag, without wasting a single minute I called her and asked. She replied positively and only after hearing yes from her I got relief. Even today when I think about that moment, I get goosebumps. I think if I would have kept my passport safely, this situation would never have arrived. So the safety of our passport is extremely important. AS we all know Passport is our legal identity. It is the only document which shows your identity when you are outside your country. You might have several Xerox copy or might have some other document to prove your identity but losing your passport under any circumstances will surely spoil your entire vacation and you might also waste your precious time in searching or for applying a new one. In my opinion, it is better to take precautions before and avoid such problems in future. That’s why passport holder is a perfect thing to keep your passport safe from been theft or from getting damaged, because if you will have a proper and fix a place for the passport it will surely be safe always. Urby is an e-commerce company specialized in manufacturing and selling luxurious travel products, keeping in mind the choice of the travelers. This company provides a various number of passport holder of different designs, colors, and style. Urby designs and manufactures essentials for an urban lifestyle using the most premium materials and finest craftsmanship. By selling directly to its customers, the brand eliminates the middlemen; thus offering high-quality products at non-luxury prices. 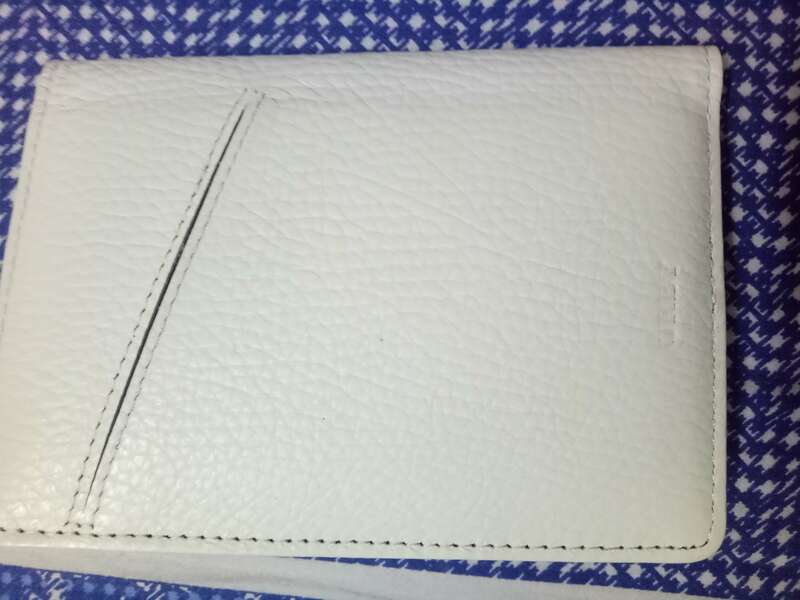 You can check out their offerings in wallets for men, women wallets, card cases and many more. Urby Passport holder is an impressive and terrific passport holder. It is slim and also easy to fit in your pocket or in your bag and it is also very convenient to handle. It has few partitions in which you can arrange your other essential documents like a boarding pass, credit cards or any other cards. Urby’s Passport holder gives a very lavish and stylish look since is wonderfully handcrafted and is made up of premium leather. One can choose passport holder of your own choice, the company also offers the system of personalization your passport holder with your own name with some extra amount. Its price tag is also affordable when it comes about luxury and quality. The product comes with a one-year material and craftsmanship guarantee and is very durable. 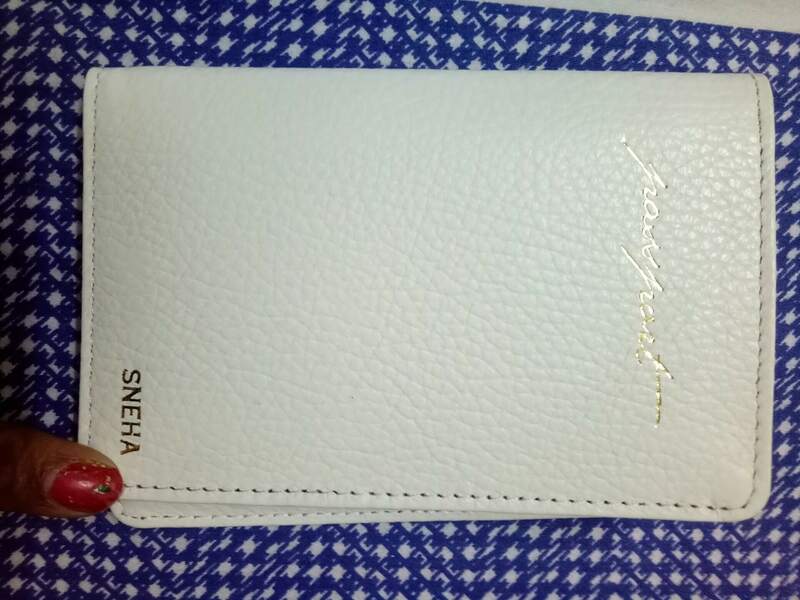 Black and white color of passport holder give the best look. I got an off-white color which I really liked it. As my name is clearly visible. The only problem I found is that it is too small to fit a passport which has thick or many pages, it takes time to insert inside. But the other side you can see that, once you put inside it will never come out or fall outside while removing from your pockets. In fact, I would suggest if you are regular traveler as a family then you must select in various colors and your name impregnated on it. This will avoid confusion when you travel on a big family tour. There is no harm or side-effect of using Urby passport holder so one should try this once and should avoid the tensions of misplacement of passport in future. This is a sponsored post but my review is genuine and true. I honestly like the idea of this personalized URBY PASSPORT HOLDER, which you can even gift to your friends who are going for taking education in foreign countries. Such an uber chic passport holder and I love the fact that it can accommodate cads as well. I liked the passport and the best part is that they not only gave the space for passport but there are other blocks as well to keep your credit and debit cards. I have heard about the brand, but after your review it seems like I should order one for myself. These passport holders will be really helpful while travelling. 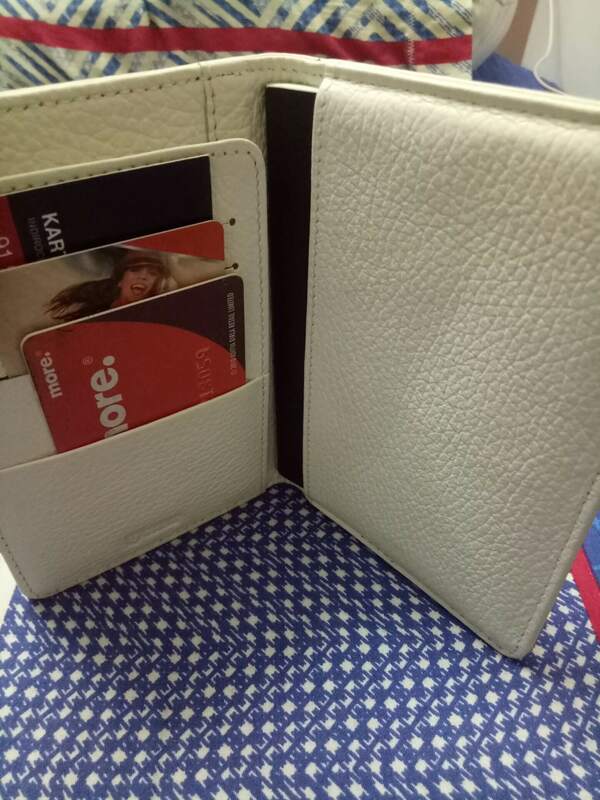 Pretty cool passport holder… I liked the fact that has card holder slots too… U can use it to keep money or id’s too….no more digging inside the handbags…. That’s such a cool passport holder. Love the color and little scribbling of your name. Personalized touch is indeed a plus 1. I’m terrified by the passport mishap that could’ve happened to you. It’s true passport holders are important these days. And I love that classic white leather one, that too customized! Amazing passport holder, must for frequent traveller like me. We need such good leather holder, with slots in it. Oh wow this is such a classy passport cover. And this one is customised which makes it even better. Wow really a cool passport holder. I love personalized things . Heard alot about urby but never tried anything from their collection. But after your review now I’m going to choose something for me from their collection. Wow these look so stylish and useful at the same time.